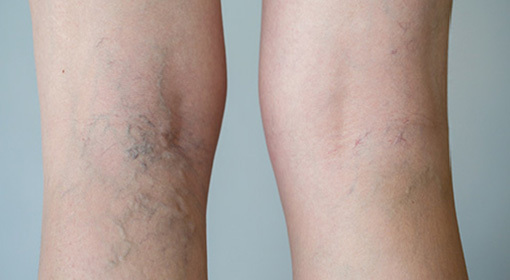 Spider veins, like varicose veins, are caused by dysfunctional vein valves. 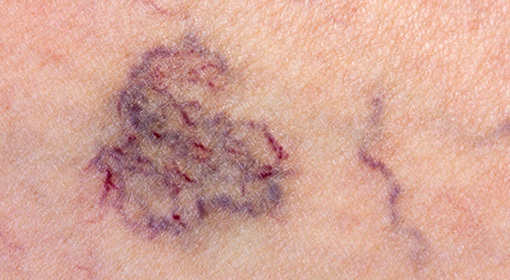 However, spider veins appear as a nest of blue or red veins just under the surface of the skin and typically do not bulge above the skin’s surface like varicose veins. These veins are closer to the surface of the skin and can spread over a range of areas. Varicose veins are enlarged veins that can be blue, red or flesh colored. They are often above the skin on legs and look like twisted bulging cords. Varicose veins occur when the valves that carry blood from the legs toward the heart no longer function, causing blood to pool and the veins to enlarge. 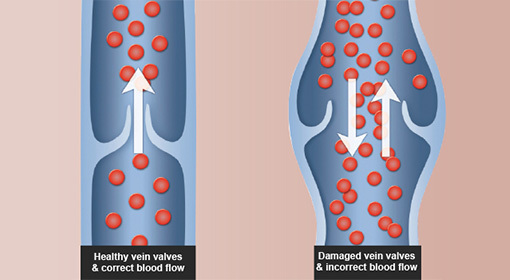 CVI is a progressive medical condition in which venous valves that help carry blood from the legs to the heart no longer function, causing blood to pool in the legs and veins to swell. Healthy leg veins are designed to allow blood to flow against gravity from the legs back toward the heart. Healthy leg veins contain valves that allow blood to move in one direction from the lower limb toward the heart. These valves open when blood is flowing toward the heart and close to prevent venous reflux or the backward flow of blood. 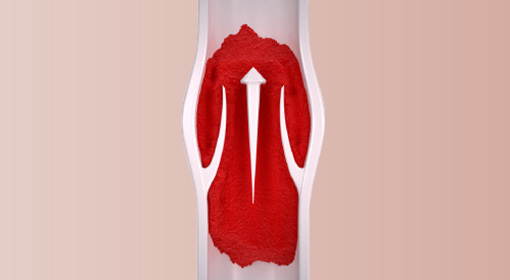 When veins weaken and become enlarged, their valves cannot close properly, which leads to venous reflux and impaired drainage of venous blood from the legs.